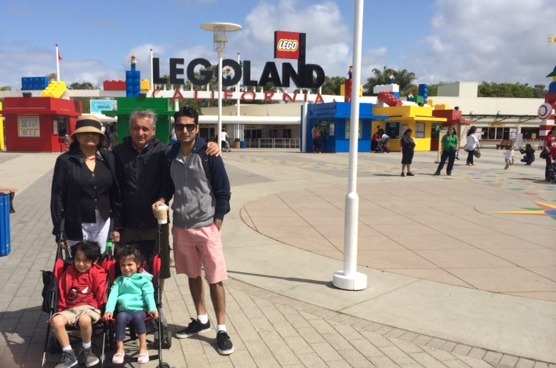 Today was the day that Keyan had been waiting for, our visit to Legoland California! It was a beautiful day, sunny and about 20 degrees. 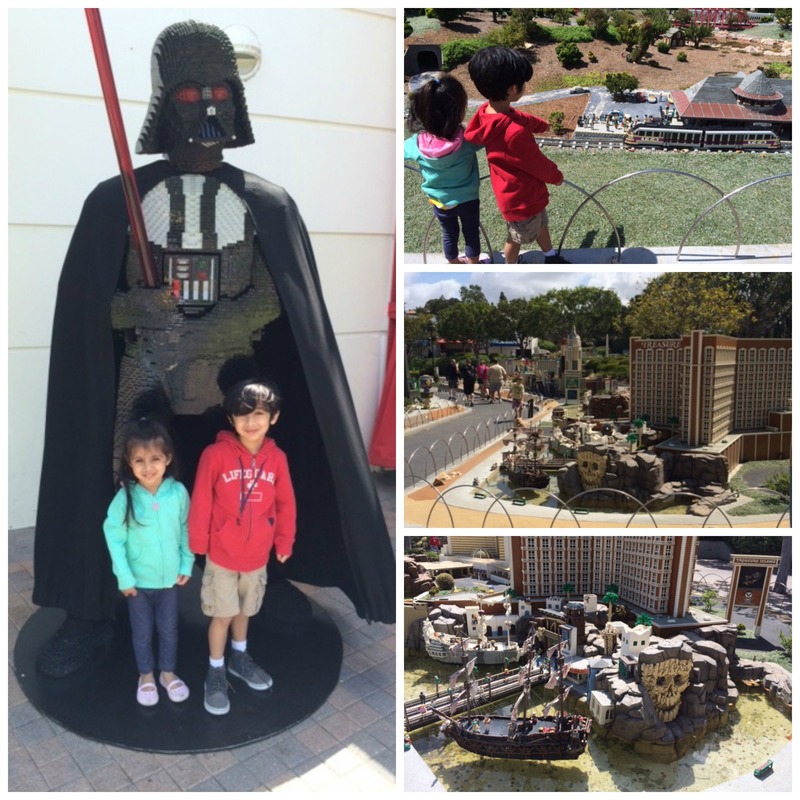 Usually there are long lines at Legoland, especially for the rides, but being a weekday, we got lucky. It wasn’t too crowded and we didn’t wait in any major line-ups. Our first stop was Miniland. We were all fascinated by the way Lego had been used to recreate Las Vegas, NYC, Star Wars characters and so much more! Then it was onto all the rides. 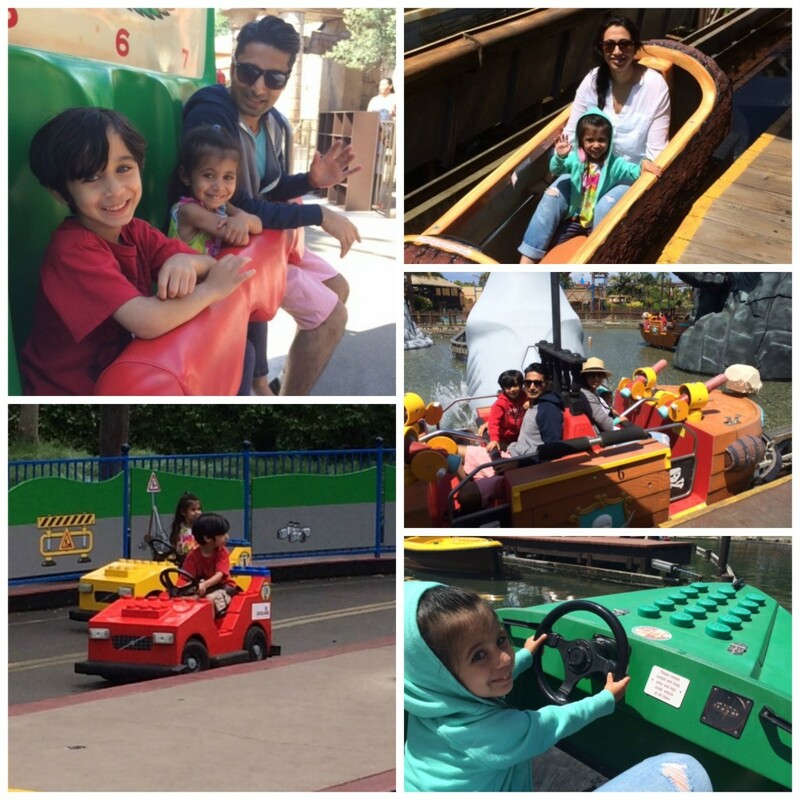 I was surprised and happy that the kids went on a lot of the rides! After a little apprehension from Keyan, it was all systems go and we had a ton of fun. The kids even got to drive mini-cars and got their own driver’s licenses after. Most of the rides height requirement is 34″ and a few were 36″. We were lucky that are 2.5 year made the cut. We all watched our first 4D movie. It was a Lego characters movie about 12 minutes long. It was very cool to feel all the air and water etc. It was the kids’ first time seeing anything 3D so they were a bit jumpy but if they got too scared, they just took their 3D glasses off for that part. Soon it was time for a little lunch and with that we had to try some of the specialties offered. 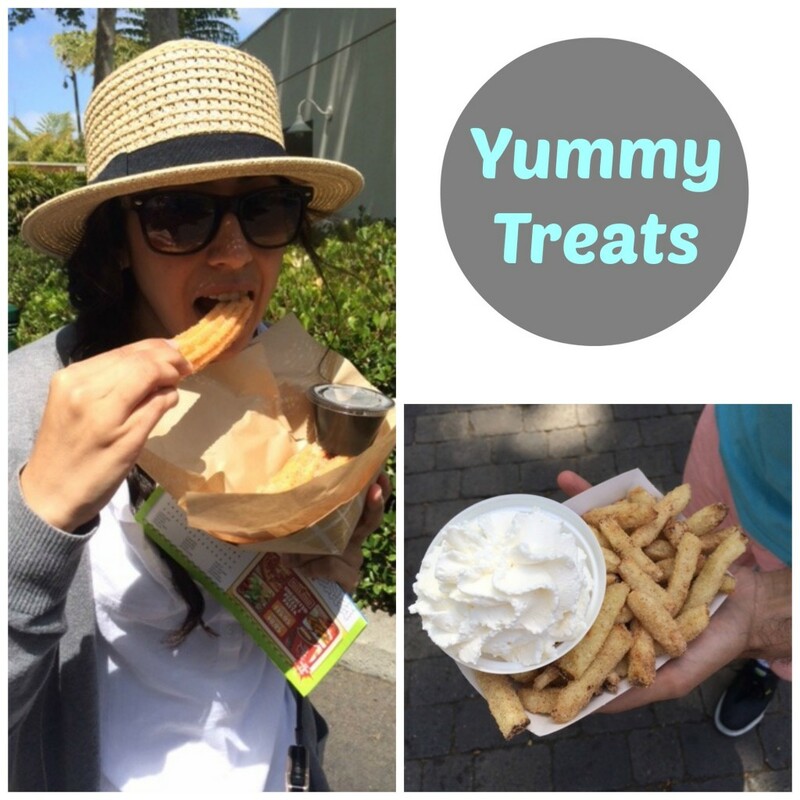 Granny’s Apple Fries were recommended and I had to have some Churro’s which are basically strips of fried dough, but they taste amazing! I hadn’t had any since I went to Disneyland with my parents more than 20 years ago and I wasn’t disappointed. There was also an area where could stop and just build lego freehand as well as look at all the lego creations past guests have made. After a fun day, we stopped at the gift shop so Keyan could pick some Lego for his birthday. They cashier even have him a big pin that said Happy Birthday from Legoland. He was really happy and we left after a very enjoyable day at Legoland. *We would have liked to go to the water park, but unfortunately it was closed that day + you have to pay extra money if you want to play in the water park. Noah would love this place! We have never made the 1.5 hour trek from Anaheim down to San Diego though! I’m sure Noah would really enjoy it! Hopefully on another trip? We did have lots of fun, thanks Cherie! 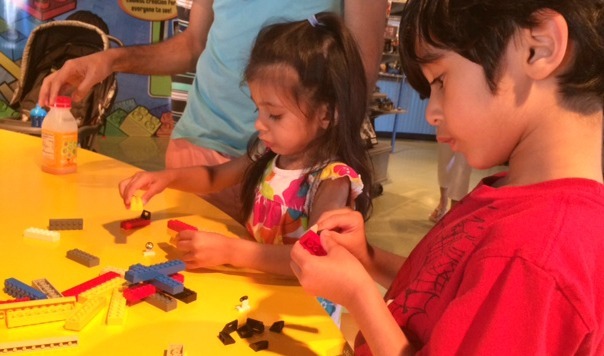 Keyan must have had a blast at lego land. Great planning for a good vacation. We all had lots of fun, thanks! I love Legoland!!!! My husband and I went many years ago and had a blast. Looks like you guys had a lot of fun.